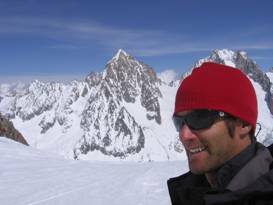 Collin Bywaters relocated to Utah from the Pacific Northwest in 1996 where he has been teaching skiing in Little Cottonwood Canyon ever since. The Wasatch has allowed him the opportunity to wed the technical aspects of his ski racing background to big mountain freeskiing with exciting results. “Skiing is at the root of my soul, and inspiring folks to resist skiing complacency is my passion”. On snow Collin coaches competitive big mountain freeskiing, and works as a staff trainer and instructor for the Alta Ski School. Additionally Collin is employed by the Professional Ski Instructors of America (PSIA) as part of their educational and certification staff. Collin is also a doctor of physical therapy who is board certified in clinical orthopedics. He practices at Salt Lake Regional Medical Center and he works with Sports Med Utah treating all demographics but specializing in non-surgical and post-surgical orthopedic rehab. “Current trends and research into strengthening, conditioning, and rehabilitation with regards to skiing go hand in hand with my passion for the sport as well as an individual skier’s longevity within the sport”. Stephen Helfenbein has been a full time ski instructor at Alta’s Alf Engen Ski School for the last 16 years. 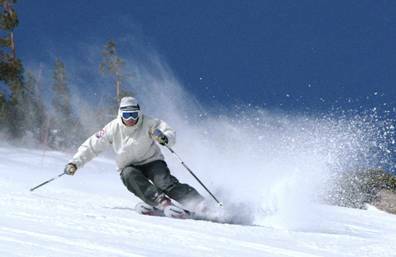 During this time he has specialized in the development of inspiring expert ski coaching. The highlight of this experience has been the creation and success of the Alta Freeride Division (AFD). AFD was created to train expert skiing teenagers to compete in junior big mountain events. In its eighth year, AFD is 4 coaches, 50 athletes and 16 competitive skiers who will compete at events throughout the western U.S. Stephen has coached several of his athletes to victories and overall championships in the Junior Freeride Tour. Stephen is also the education and certification leader for the Intermountain Division of PSIA and it’s Manager of Education. In this role Stephen oversees the educational processes of the Intermountain Division and coaches ski instructors of all ages and abilities, all over the region to become more effective skiers and ski teachers. During the non-skiing months Stephen is an instructor for the National Outdoor Leadership School (NOLS). He specializes in whitewater instruction. This includes, river rescue, kayaking, rafting and canoeing. As a year round full time outdoor professional, Stephen has acquired a diverse skill set that allows him to deliver an inspiring ski experience to both aspiring and thriving expert skiers.